London’s alternative festive experience Winterville returns to Clapham Common, from 15th November – 23rd December. We’re delighted to announce that we are partnering with them again this years and will be there on the opening weekend offering plenty of free festive family fun. Expect brilliant entertainment and plenty of fun for all ages at Winterville; the ever popular ice rink is back offering the unique opportunity to skate on Clapham Common, enjoy sensational street food from some of London’s best street food traders, brought to you by Street Feast, watch screenings of festive classics in Backyard Cinema’s Christmas Labyrinth, play crazy golf on the UV-powered Plonk Golf course, get down with the Twisted Wheels Roller Disco, ride the Big Wheel at the Fairground and grab gifts from the alternative Christmas market, the Solo Craft Fair. There’s loads for kids to do. As well as the Ice Rink, Cinema, Fairground and Roller Disco, Groundswell Arts’ Story Lab gives little ones the chance to design their own sleigh, reindeer and fly with elves against a magical backdrop thanks to their Green Screen technology, and Mrs H and the Singalong Band will have people of all ages exercising their tonsils! Plus boogie with the kids at Big Fish Little Fish or book an Okido workshop and explore art and science in the most creative and fun ways imaginable! Kicking off festivities in true style, Winterville will play host to the wildest opening weekend the pop-up town has ever seen. The one and only Melanie C AKA the iconic Sporty Spice will start the party by taking to the Spiegeltent decks for a trip down memory lane with an extra special 90s Mixtape DJ set. Elsewhere over the weekend, big ballad supremos Ultimate Power are shaping up to bring the ultimate sing-a-long session to the Common, while the Two Brewers Takeover are primed and ready to get the masses grooving with London Gay Big Band who are set to stamp out those November blues. There’ll be festive fun for all the family on the opening weekend, with an extra special concert from Lambeth Live Explosion, a performance opportunity which invites young local musicians to participate and share their talent with audiences under the iconic Spiegeltent roof. LittleBird’s Kid’s Quarter returns on Sunday 18th November, where little ones can learn new circus skills, craft Christmas decorations and enjoy a glitter tattoo* applied by one of Santa’s elves, all for free! 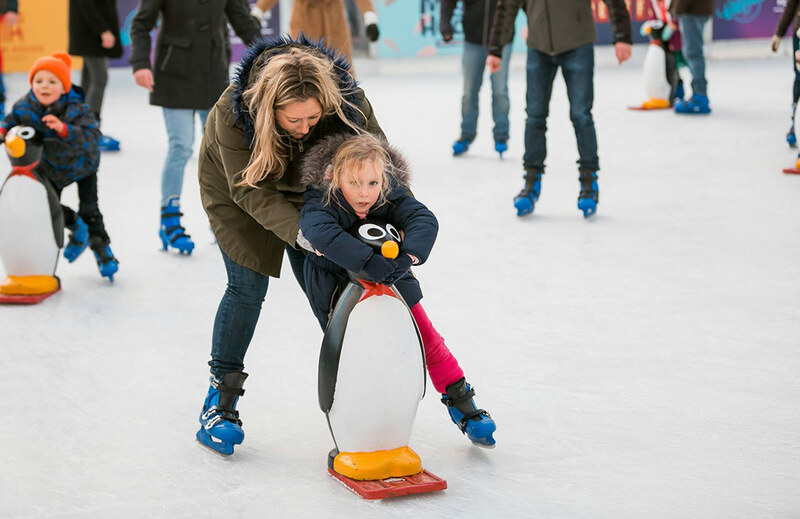 We’ve teamed up with Winterville to offer one lucky family the chance of winning a Family Ticket to a Winterville kids show of their choice plus an ice skating family pass! Check out the competition here and enter before the 28th November for your chance to win!